Home » Trade Show » Ballroom Dancing Did THIS!?! Listen to This Heartfelt Testimony! Ballroom Dancing Did THIS!?! Listen to This Heartfelt Testimony! Please enjoy this heartfelt testimony from one of our dance couples Frank and Andrea O’Brien. They have been coming to our studio now for approximately 12 months and Mrs. O’Brien especially has experienced tremendous results in improving her mobility, posture and emotional well being. We encourage you to give dancing a try if you have not done so already. The many positive effects from dancing can last a lifetime! For all new visitors, we encourage you to register now or call 770-672-4046 and reserve a VIP spot in one of our upcoming Open House Nights. Click HERE for more details. 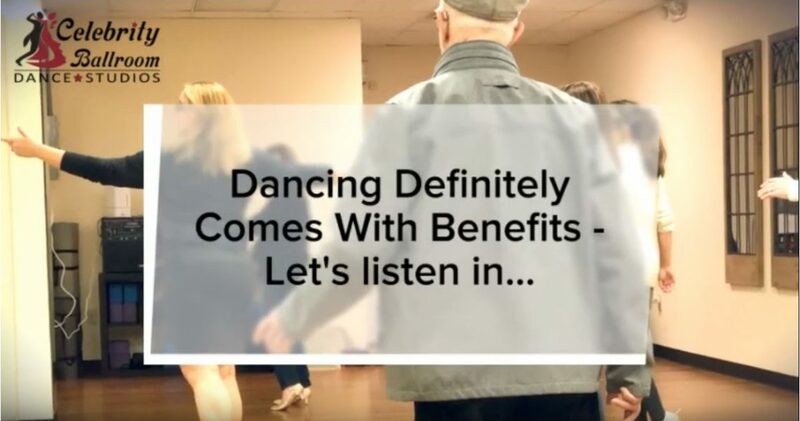 Come enjoy an evening of free dance lessons, free appetizers and drinks in a relaxed no obligation environment to see if ballroom dance and its benefits might be right for you. Oh, and bring a friend or partner if you’d like… but NO PARTNER IS NECESSARY for these fun events! There’s no better time. What are you waiting for? Don’t forget about our Valentine’s Day special currently available! Click the link below for package details!